We answer the question, “What is a Kendama”. 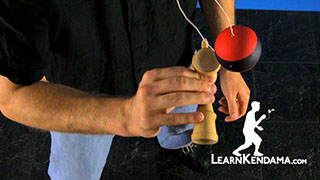 What is a Kendama Kendama TrickThis a kendama. 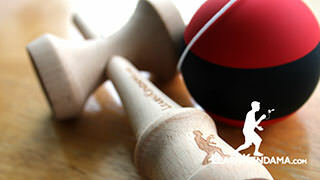 The kendama is a traditional Japanese toy, and it consists of two parts: a ball and a handle. 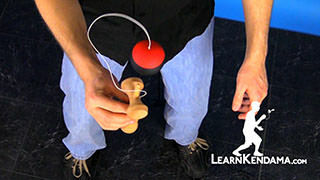 And the ball, which in all of our videos we are going to call a tama, has a hole in it that can be caught on the spike and it is also connected by a string to the handle which is collectively referred to as a ken. 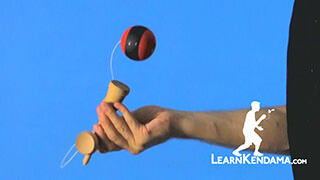 The ken has two parts: the main handle, it also has a part which when referred to by itself is called a sarado. You’ll notice on the ken that we have three different sized cups: we have a big cup, a small cup, and a base cup. All of which can be used to catch the ball. And we also, of course, have the spike that we mentioned earlier which can be used to catch the ball as well. 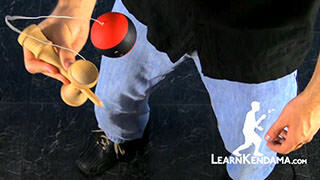 Although the kendama itself is simple, the things that can be done with it are practically limitless. 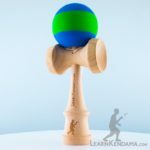 So a kendama from LearnKendama.com and let’s get started.